Talk about starting the week off on a positive note! Texas teen Dannie McMillan completely flipped the script on her would-be bullies to not only defuse their power, but totally co-opt their attempt at name-calling and put it to much better use. When Dannie learned about a twitter page that called her a “fat whale” she went through the normal range of emotions; embarrassment turned into anger which became fuel for motivation. Dannie exchanged Facebook messages with model Laura Lee, whose support helped her channel those emotions into triumph. And that’s how what is sure to become the coolest, most subversive, IT t-shirt of the summer came to be! Seriously, by the time Taylor Swift gets photographed wearing one, it’s gonna be too late. P.S. Interested in other super sweet t-shirts that support a good cause. 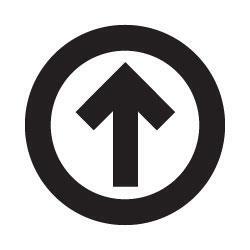 Look no further than www.shopabovetheinfluence.com.